In the wake of a crucial string of victories over opponents both domestic and international, containing a storm of controversy surrounding Juve’s victories over Napoli, Inter and AC Milan, I decided to trail back in recent Juve history and begin a review of the past 10 years. Juve at this point in the current campaign has built up a healthy 8-point lead in the league, with less than 10 games left to play. The Bianconeri also have one foot in the Coppa Italia final after beating Napoli 3-1 in the first leg of the semi’s. And to top it all, the Bianconeri have sealed a spot in the Champions League quarterfinals against Barcelona, beating Porto with a sound 3-0 aggregate score! But this article is not about these games. No, we go back to relive the glory and doom of years gone by. It embodies both our darkest hour and arguably the most successful period Juventus ever had. It is a tale of heroes and villains, of glory and despair. For many, nothing new will be written. For some, this might be an eye opener. In whichever group you belong, I aim to keep you fascinated and to continue reading. So let’s get started with a little glory and meet the boys in black and white anno 2004. After unsuccessfully defending the 2002-2003 Serie A title in the 2003-2004 campaign in which Juve finished third, the Bianconeri looked to bounce back in 2004-2005. 2003 was also the year in which Gianni Agnelli, son of Edoardo, passed away after losing his battle with cancer. It would eventually mean a lot more responsibility for the next Agnelli in line: Andrea, but that would come later. Coach Marcello Lippi’s contract was not renewed after what was seen as a failed season and Fabio Capello was announced as the new man on the bench, a move many praised manager Luciano Moggi for. Besides Capello, Juve also landed the then most sought after youngster of that year, none other than Zlatan Ibrahimovic, who arrived from top Dutch team, Ajax. Capello proved to be an instant success: Juve won the Scudetto, aided by Ibrahimovic, who turned out Juve’s topscorer in the league with 16 goals. The Champions League campaign was bittersweet: Juve had a strong group phase, beating Bayern Munich twice and won 5 out of 6 games – that sixth game being a draw. Juve beat Real Madrid 2-1 on aggregate in the round of 16, goals courtesy of Trezeguet and Zalayeta. The next opponent, Liverpool, was too stubborn however. The Reds managed to beat Juve in the quarterfinals and went on to win the Champions League. The Coppa Italia campaign was a disaster, with Juve bowing out to Atalanta in the round of 16. Disaster struck the Agnelli family again in 2004, as this was the year in which the great Umberto Agnelli died. These were dire times for the Agnelli family, with the FIAT group and Juventus ownership now managed by chosen heir John Elkann, until a new Agnelli could stand up and take responsibility (Andrea was still a young man at the time). In the Champions League, we got an almost exact repeat of last season: Juve won 5 out of 6 games in a group phase containing Bayern Munich, Club Brugge and Rapid Wien, losing just once to Bayern. They went on to beat Werder Bremen in the round of 16 and were then eliminated by Arsenal in the quarterfinals after a 2-0 defeat in London and a 0-0 stalemate at home. 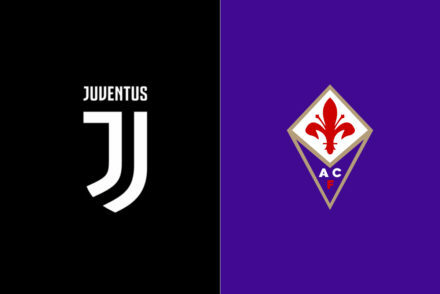 The Coppa Italia fortunes did not improve much either: after disposing of Fiorentina with a 6-3 aggregate score in the round of 16, Juve was eliminated by Roma in the quarterfinals by away goals after a 3-3 aggregate score. In the following 2006 World Cup in Germany, we witnessed a vintage Italy. Hard as a rock in defense, a strong midfield and a close to legendary attack, yet as seems to be customary, Italy were not expected to get far. The Azzurri were in a group with Ghana, the Czech Republic and the United States, beating the first two before drawing with the US. Group leaders Italy then defeated Australia 1-0 in the round of 16 after playing the majority of that game with 10 men, after defender Materazzi picked up a controversial red card. Totti converted an equally controversial penalty in the dying seconds of that game. Next up came Ukraine in the quarterfinals: an easy 3-0 for Italy! Juventus man Zambrotta opened the scoring after only 6 minutes before Luca Toni added two more goals to finish the job. In the semi’s, Italy faced hosts Germany and put them to the sword: Despite a hard-fought and dogged display from the Germans, it ended 2-0 for Italy, goals by Grosso and none other than Juventus icon Alessandro Del Piero. Unfortunately, this is where things took a very, very dark turn for Juventus. It would be a long time before Juve got another taste of success. It was the time of Calciopoli, often nicknamed “Moggiopoli” by those who hate Juve and “Farsopoli” by the Juve faithful. Calciopoli is what we call the shitstorm that broke loose in May 2005, when recordings of phone calls between then Juve manager Luciano Moggi + Antonio Giraudo (among others, such as Milan, Lazio and Fiorentina … ) and the referee designator board were discovered by media and the police. Severe punishments were demanded by prosecutor Palazzi, especially for Juve, it must be said. The original demand for Juventus was demotion to a league lower than Serie B, (not specified), a six-point deduction to start in that league, the stripping of the 2005 and 2006 Serie A titles and a huge fine. As the World Cup winning Juve players arrived back home, they were greeted by detectives and being accused of corruption. As if that wasn’t bad enough, Buffon was accused of betting on rigged matches. The homes of Gigi, Cannavaro and Ibrahimovic were searched by the police, with no discoveries made. There are multiple recordings that show Moggi had contact with the referee designators for games, though there is nothing that shows Moggi could hand pick the referee he liked best. He was a close friend with Bergamo and they often called, sometimes talking about this or that referee indeed, but never did Moggi specify ‘I want this referee for that game, give me that one’. Never. In a short version: Moggi was a brilliant, but proud and vain businessman. He had great knowledge of football and knew very well how to play the media. He also had a great eye for talent, was deservedly seen as the best transfer guru of his time, had many friends in important offices and was a charismatic man. He is seen as the main figure in Calciopoli, but then he has also been made the scapegoat of the entire affair. Berlusconi of Milan, the Della Valle brothers of Fiorentina and Lotito of Lazio have all been caught out with similar recordings. Years later, recordings surfaced of Giacinto Facchetti of Inter doing the same thing (though Facchetti was deceased at the time this happened). There are a whole lot of reasons why Calciopoli divides opinions even now, in 2017, 11 years after it all took place. Internazionale and its fans like to play the role of the knight in shining armour, the sole innocent club, who cleared out the swamp of corruption. And after doing that, nicely cruising to an easy 4 Scudetti in a row! A justified position? I think not. Here’s why. For starters, the sound tapes were held by Telecom Italia, a company that was managed by a man who was also manager of Pirelli, who were and still are, as you might know, Inters main sponsor. When releasing said sound tapes, nothing was done with them originally. At the time, there was no rule that said managers could not be in contact with the referee designators. It was common in most clubs to have phone calls between club hierarchy and the referee body. Next up, the head of the FIGC was forced to step down after a scandal and was replaced by a self-confessed Inter fan – Guido Rossi, who also was a shareholder of Inter AND Telecom Italia. It still doesn’t stop there, as Massimo Moratti himself, Inter president at the time, was also a Telecom Italia shareholder. Keep in mind that all the sound tapes involving Giacinto Facchetti, Inter president prior to Moratti, talking to the referee designator board suddenly ‘vanished’ and were not made public in the media. Coincidence or planned out, one must wonder. It certainly was a boon for Inter. Another reason why Calciopoli is farcical can be seen when one looks to the players on the pitch. Juve boasted a squad full of international stars, quite a few of them even captains of their national teams, Cannavaro was captain of the Azzurri for example. Why on earth would a squad like that need to bribe a referee? Sure, having good players isn’t excluding any bribery or wrongdoing, but one must ask himself, why would Juventus need to bribe anyone to win? With a squad like they had at the time, a top 3 finish was always on the books and they certainly won those titles on the pitch. Finally, Juve were placed last for the 2005-2006 season (they won the championship before the trial), demoted to Serie B, starting with a 9-point deduction (originally 30-point deduction was demanded, after it was settled that Juve would play in Serie B), fined a sizeable fee and stripped of both the 2004-2005 and 2005-2006 titles, the latter of which was handed to the then 3rd ranked team – Inter. Why to the third ranked team you ask? Because second placed team Milan was also punished for their part in Calciopoli. The 2004-2005 title has been left unassigned ever since. Milan, Fiorentina and Lazio were all docked points and received a fine, but got to keep their top-flight status. Juve were not found guilty of direct sporting fraud: they were found guilty of a violation of sporting principles and influencing the referee. Inter fan and FIGC chief Guido Rossi conveniently made it illegal for club managers to have any contact with referees, so punishments could be handed out. Juventus general manager Moggi was found guilty of having unjustified power in the league and enriching himself in illegal ways and therefore banned from any football related activities for life. A case as enormous as this one should have taken months or even years to thoroughly investigate and conclude, if there was any wrongdoing and if so, who the culprit was. Andrea Agnelli, current Juventus president, witnessed the Calciopoli period as a young man, with many lawyers among his friends. They told him how excited they were about this process: it would be huge and a real test for their skills. Only 3 weeks later, the trial was done and dusted, with the aforementioned conclusion. Remember, the people deciding this were shareholders and managers in Inter itself, Telecom Italia and Pirelli, coincidentally enough, all linked with one another. Juventus originally announced they would take this decision to court, which was ill received by the FIFA board. They threatened to suspend the FIGC and thus throw out all Serie A participants from FIFA competitions for next season if the case went through. The day before the case was set to start in court, Juventus called it off. In an interestign twist, Milan went on to win the 2006-2007 Champions League! The recordings of the now deceased Inter manager Facchetti prove Inter have managed to evade any punishment, as they are now protected by the statute of limitations, which renders any case older than 10 years as void. Inter has been asked (on basis of ethics, since they can’t be forced to on legal basics) to hand back the 05-06 Scudetto to Juve, something then president Moratti refused to do, clinging on to what is now called the ‘cardboard’ Scudetto. Moggi is banned for life from any football activities, but most of the charges against him were dropped, also due to the statute of limitations. He is convicted of being the ‘main promoter’ of a conspiracy. Juventus under Andrea Agnelli is still fighting for amendments of what is now received as unfair and out of proportion punishments, received in 2006. It is an uphill battle though, as the statute of limitations is a big shield for the whole case. Juventus are trying legal ways to find compensation, be it through CAS or the Liga. They have taken it to European court as well, but it remains a glaring question mark if Juve will ever see any compensation for the damages suffered. Current FIGC president Carlo Tavecchio seemed to be seeking a deal with Juve a few months ago, but not much has been reported ever since. Juve reportedly demanded both revoked Scudetti back and the enormous fee of 400 million Euros for repair in damages suffered by the demotion, loss of players and huge smear on the Juventus reputation. Tavecchio allegedly said that if Juventus were to receive such a fee, the FIGC would be financially broke and was reported to suggest handing both Scudetti back in return for the case to be dropped. I have to say the last part is unconfirmed and undocumented; We will have to wait longer for any true definite conclusions. In any case, Juve is pursuing any and all legal ways to take back the revoked Scudetti. Whether it will be to any avail is questionable, but the Juve mentality is rooted in ‘Fino alla fine’ after all. The Italian justice system has failed us, hopefully Europe can change something. If there was anyone who should have been severely punished, it was Internazionale. The true winner of Calciopoli was Inter. They won 4 successive Scudetti, thanks to a lack of real opposition. Of course, Juventus had to face with dire consequences of the scandal in 2006-2007. First, the entire management board resigned (some were banned) and left Juve. Former player and then newly appointed sporting director Gianluca Pessotto even attempted suicide, despite not being investigated, by throwing himself off a building. Miraculously, he survived and has fully recovered from his fall. Perhaps the most damaging consequence however, was the mass exodus of star players that followed. In order to understand this, I will note the team that won the 2005-2006 championship and note the team that played for Juve in the 2006-2007 Serie B competition. The older Juventus fans will read this list and feel a hint of nostalgia, as this was a team laden with talent, capable of challenging on all fronts. Without any doubt, this was one of the finest teams Juve ever had. The younger fans among us will perhaps not know all of these players, but I think most Juventini will at least have heard of most names in this list. Many of them were world class stars. After the forced demotion, many of the stars left. Gianluca Zambrotta and Lilian Thuram left for Barcelona. Coach Capello jumped ship, taking Cannavaro and Emerson with him to Real Madrid. Adrian Mutu left for Fiorentina. What perhaps hurt the most, on an emotional level, was the exit of Patrick Vieira and Zlatan Ibrahimovic to arch rivals, Internazionale. Many Juventini have never forgiven either of them for the deep betrayal. 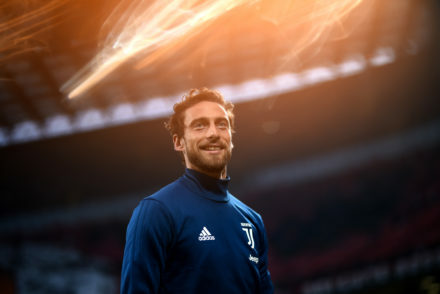 They will be remembered as those who left their Lady in darkness, at a time she needed them most..
Other stars decided to stay and their names are forever written in the heart of Juventus. Gianluigi Buffon, Pavel Nedved, Mauro Camoranesi, Alessandro Del Piero and David Trezeguet chose to weather the storm and bring Juve back to its former glory. Three of these had only just won the World Cup and now looked at a season in the second tier of Italian football. To start the new season in Serie B, Juve promoted a host of Primavera players to the senior team, players who won the youth competition in the previous season, in order to fill the glaring holes left by the mass exodus. Former Juventus midfielder Didier Deschamps – current Bleus manager – was appointed as coach and a new management was formed with Giovanni Cobolli Gigli as president, Alessio Secco as sporting director and Jean-Claude Blanc as chairman at the helm. Juve started, as earlier mentioned, with -9 points and began the season with a drab 1-1 draw to Rimini. Doubts were high; would Juve ever be able to climb up to greatness again? Would they slump away in the bowels of lower league football? 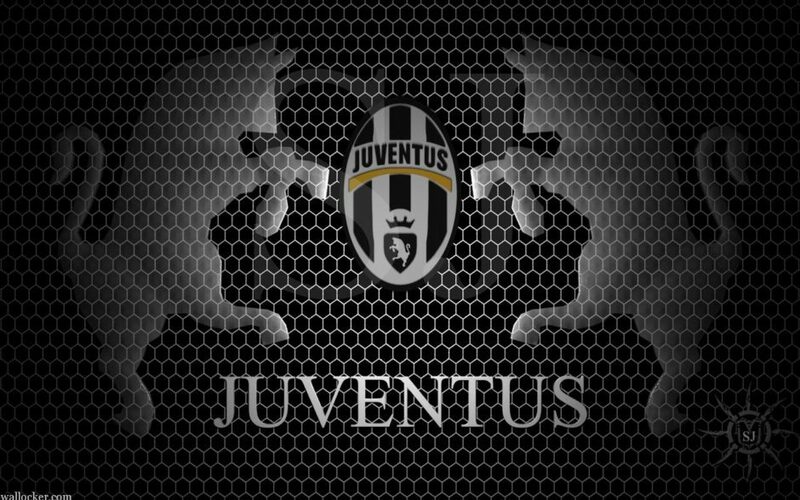 After that draw however, the Juve machine sparked to life and Juve racked up points at high speed. The remnants of the great 2005-2006 team ensured Juve won Serie B and were straight back up to Serie A football, with Del Piero crowned Serie B Capocannoniere with 20 goals. Napoli and Genoa finished the list of 3 teams promoted to the top tier. Sadly enough, with just two games remaining to finish the Serie B campaign, coach Didier Deschamps resigned from his position due to disagreements with director of football Secco over the transfers for next season. His assistant coach, Giancarlo Corradini, took the reins for the remainder of the season. Claudio Ranieri was appointed as his permanent successor for the upcoming season. A fresh start in Serie A awaited Juve, albeit with a very different team. You can find me on Twitter @TheOddJamie and in the comments below, I’m always up for a chat!